At the end of November 1915, in the aftermath of the failed Gallipoli Campaign, the Australian Government needed more men to enlist. Faced with meeting their recruitment quotas, rural districts around the country followed the lead of the legendary Coo-ee March from Gilgandra to Sydney. as they headed for the capital cities. The marches did more than inspire many more men to enlist. They provided a channel for the whole community to be involved in supporting the war effort. The Waratahs marched along the Princes Highway over 18 days, stopping at various towns along the route for church services, social events and recruitment meetings. By the time the march reached Sydney, the ranks had swelled to 120. 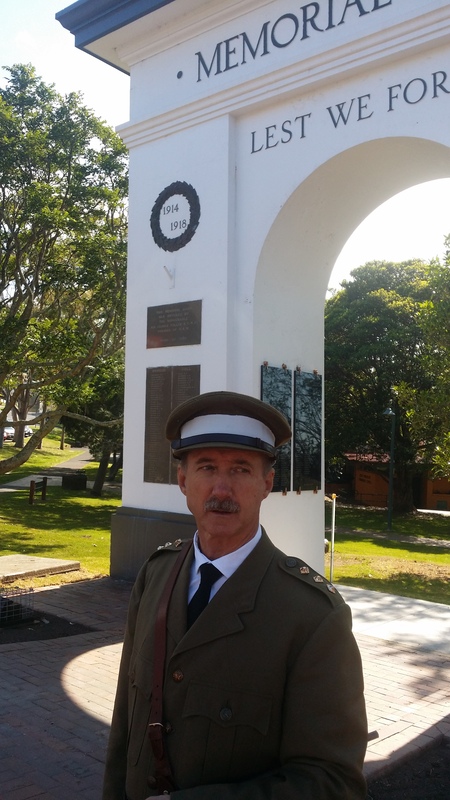 The centenary of the Waratah March is being commemorated with a re-enactment, and organisers hope that as many people as possible will be involved, either as marchers or spectators along the way. A ‘colour party’ from HMAS Albatross will travel the entire route, dressed in period uniform to represent the volunteers. The public is encouraged to join in the March when it comes to their town. A steam train will transport participants north between the towns, with a bus home. 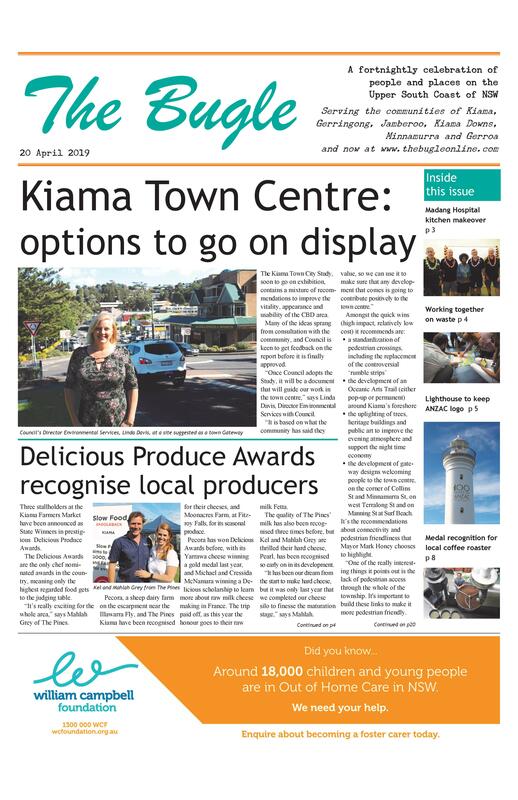 The next day, a march (with the Kiama Light Horse in attendance) and service will be held in Kiama in front of the newly stabilised Memorial Arch. A march and service will be held in Jamberoo on the Tuesday. The re-enactment is being coordinated by Clyde Poulton, a Vietnam veteran and member of the Berry RSL. He is quick to point out that the march is a community event that will have less formality than ANZAC Day. “We want people to be involved, just as they were 100 years ago,” he says. A month long re-enact-ment of the Coo-ee March will arrive in Sydney mid-November, and is sure to spark more interest in this chapter of Australia’s war history. a march to Gerringong War Memorial, where a service will be held at 2pm. March to leave Showground at 10am. Service at Memorial Arch 10.30am. March to commence at 10.30, followed by a service at the War Memorial.